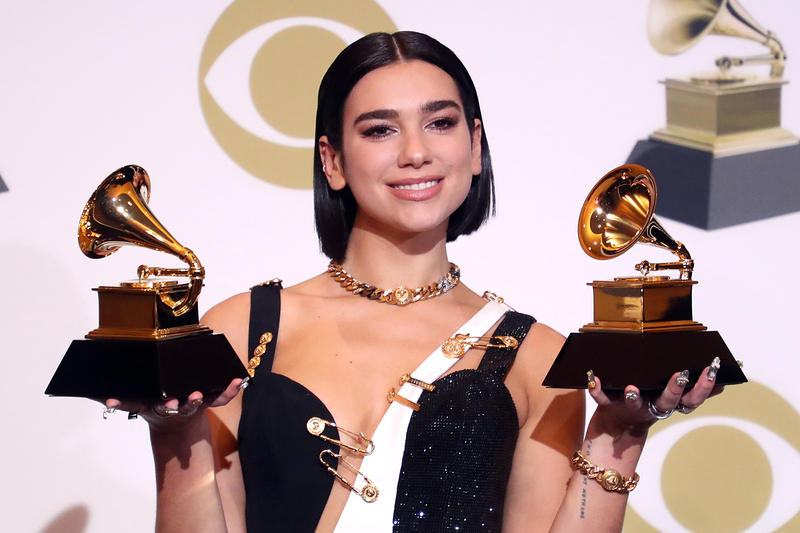 “So many women!” Dua Lipa said on Sunday night, scanning the crowd from the stage while accepting her Grammy for Best New Artist. “I guess we really stepped up this year.” The comment, however offhanded, was a clear reference to Recording Academy President Neil Portnow’s infamous remark at last year’s show that women in the music business should “step up” if they want to be more prominent as artists and executives — a comment that was widely derided and seen as an indicator of how out of touch the Grammys were. She also spoke out about the absence of rapper 21 Savage, who was arrested by immigration officers last week and has been held under investigation since. “I think it’s quite upsetting given that he hasn’t actually done anything and he’s also given so much to American culture, even being a Brit,” Lipa said. Lipa said that she is currently working on her next album, which is “almost done” but being kept a secret. “You’ll be hearing from me soon,” she said.